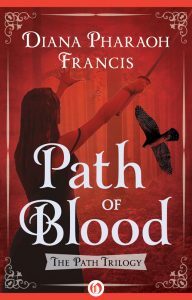 The Path books are currently out of print in paper form. I am working on a paper version. 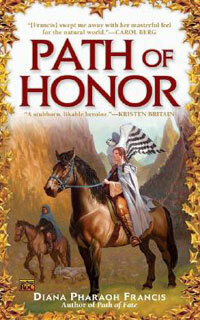 Reisil, a young healer is forced to make a bitter choice to save her people from the threat of war. 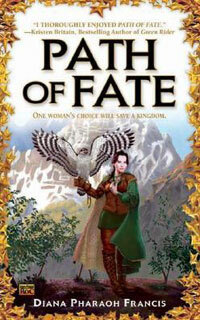 As PATH OF FATE begins, a truce has halted the fighting between Reisil’s native land and its neighbor. But traitors on both sides plot to shatter the fragile peace. On the night of the welcome celebration, kidnappers steal the daughter of the foreign ambassador from her bedchamber, leaving behind a trail of blood. 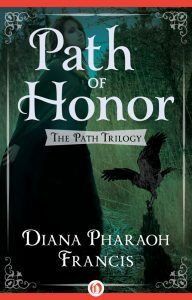 To free her friend before she can be used to reignite the war, Reisil must join a band of rescuers she fears to trust. 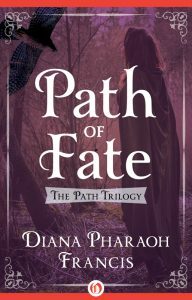 As Reisil journeys into enemy lands, she will be betrayed…Magically soul‑bonded to a goshawk against her will, Reisil struggles to overcome her own fear and hatred. Two years after Reisil’s arrival, Kodu Riik is decimated by plague and famine. And now a race of sorcerers is trying to take over. Reisil’s power is feared by the nobility, others wish to exploit her, and her fellow ahalad-kaaslane begin to doubt her loyalty, as her healing magic fails to stem the rising plague. But Reisil will discover that although she has lost her power to heal, she now possesses a surging new ability-to destroy. ath of Honor. 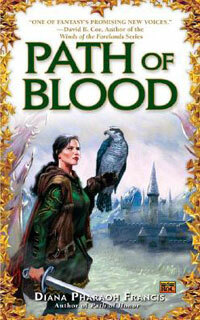 Now Reisil must fulfill her destiny as the fates of two worlds rest in her hands…. Chaos reigns in the realm of Kodu Riik. Plague continues to ravage its populace. Armies of the power-hungry Aare are on the march, slaughtering everything in their path to place a madman on the throne. And the rift between the kingdom and the land of Cemanahuatl yawns ever wider, threatening to consume both beneath waves of uncontrollable magic and destroy every living soul within them. Only Reisil possesses enough power to breach the spellbound city of Mysane Kosk and seal the fracture. Accompanied by her goshawk, Saljane, and her lover, Yohuac, Reisil must journey across a land besieged by war and fight for a domain torn asunder by sorceries beyond imagining….